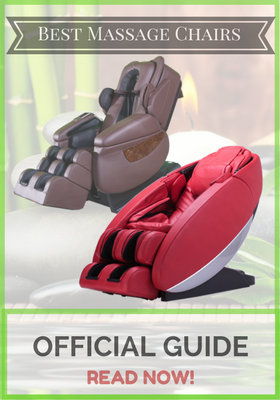 When it comes to massaging chair equipment, only 4-5 brands in the world are worth considering. And Osaki (Titan) is a top name in the world of massage chairs. Osaki line runs the gamut from price and features, their reputation is solid, and they are well respected for their adherence to quality, technology, and comfort. 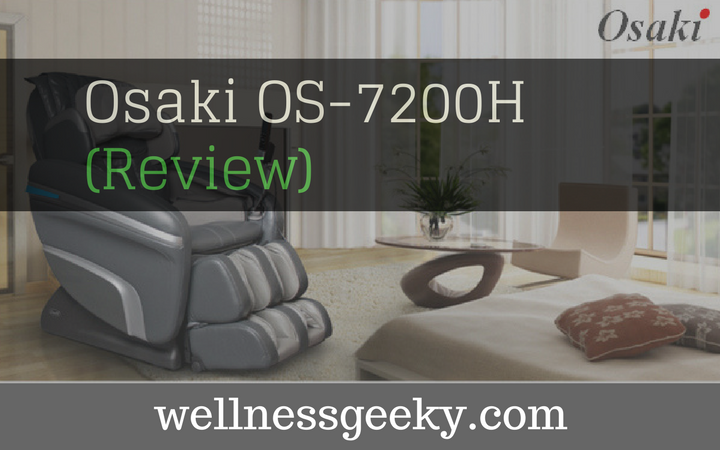 The Osaki OS-Pro Maxim massage chair is no exception when it comes to the benefits compare to their entire range of models, but there are a few things that cause it to stand out from the rest. 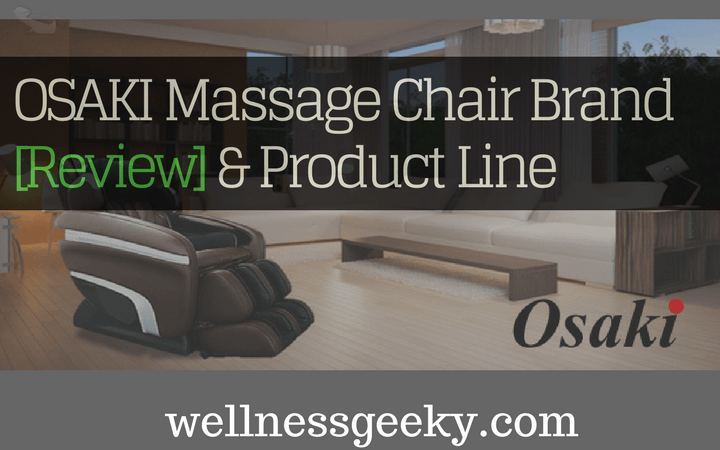 When you're looking for a chair priced squarely in the mid-range, but want just about all the features you'd get in a luxury chair, may want to consider the Osaki Pro Maxim. I spent many hours researching every piece of information available, testing and putting together this guide. We found around 10 worthy chairs available in this price range. Most chairs not even worth looking at, such as this no-name expensive overrated and overprices chair here (you can click to see what NOT to buy). It's a swinging deal for the price point, considering that it is L-track chair (which a lot of the time featured on more expensive models). Also to keep in mind that chair comes with the warranty. On this model is 1 year on parts, labor, and structural framework, 2nd-year parts only warranty. The L-track feature is a must if you someone who wants to get a right lower spine and buttocks massage. Many consider it to be the best-introduced feature of this industry. Before this invention, you could only enjoy S-track option, which would not massage your lower back area. It is one of the best chairs in around $3000 category. Great shoulder area massage that even more expensive chairs such as Infinity Iyashi lacking. 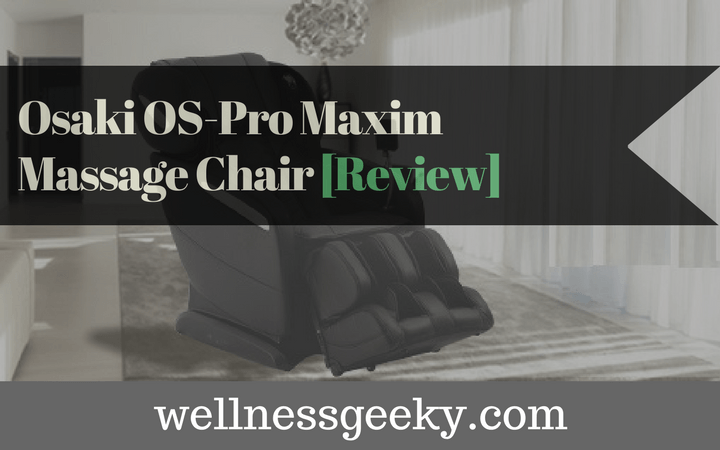 Considering that it can accommodate not only petite users but heavy and tall individuals as well (check out a 1st and 2nd review here), it is tough to find a better quality chair than Pro Maxim at this price point. Also, if you over 300 pounds, you may want to consider a different model. Note: It is good to know that all Osaki chairs are manufactured in a factory in China, but with excellent quality control from OSAKI. Most massage chairs these days incorporate the s-track roller system, and some, but not all, utilize the L-track (extended roller track). The L-track means you get more of a full body massage with the rollers (including lower back and buttock area). If you imagine yourself sitting in a chair, think of the "L" as running from the base of your head at your neck, down the length of your back, and curving around your buttocks, ending at the tops of the backs of the thighs at your hamstring muscles. That's the range of the L-track, and it's not as common in mid-range chairs. The S-track system is one in which the massage rollers follow the natural contour, or s-shape, of your spine. As opposed to the L-track, the S-track is more of an industry standard. The track allows for the rollers to move in and out as opposed to up and down your back. The result is a deep tissue massage and one that is more akin to what you get from a real human massage therapist. 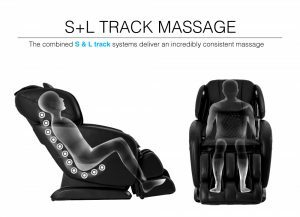 So, together, the L- and S-track systems are pretty fabulous for delivering a deeper massage & highly therapeutic massage. The rollers are moving in and out along the muscles that parallel the spine, neck; buttocks are soothing and great not only for incredible relaxation and stress relief but also strong enough to target tight, sore muscles and knots. This is a good intensity for post-workout tension as well. And if you suffer from headaches or tightness in your neck, you can push the head and neck pillow out of the way for a more intense neck and base-of-the-skull massage. The health benefits from a daily massage of this sort speak for themselves. 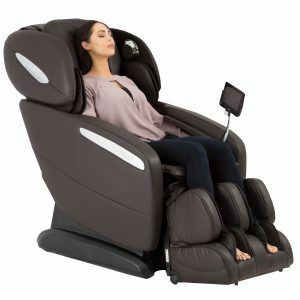 If one of the factors that have kept you from owning home massage chair is the pain of having yet another electronic device to master, fear not. The remote control on the OS-Pro Maxim is a touchscreen tablet, which is highly intuitive and incredibly easy to use. The icons are large, the display is excellent, and the programs easy to decipher and you can reach any option with a touch of your finger. There are over twelve programs to choose from, and you can customize to your heart's content using the manual mode, choosing from all of the usual suspects when it comes to massage types: Shiatsu, Swedish, tapping, kneading, rolling, and clapping massage techniques. But if you want to sit down, turn off your brain, relax, and get to unwinding, there's a great general feature. With one press, the chair reclines automatically, and the ottoman extends. Once the chair is fully reclined, the ottoman begins to retract. When it gets to your exact length, you tap it with your toes, and it stops. So, you get the perfect fit, the chair accommodating your correct height. 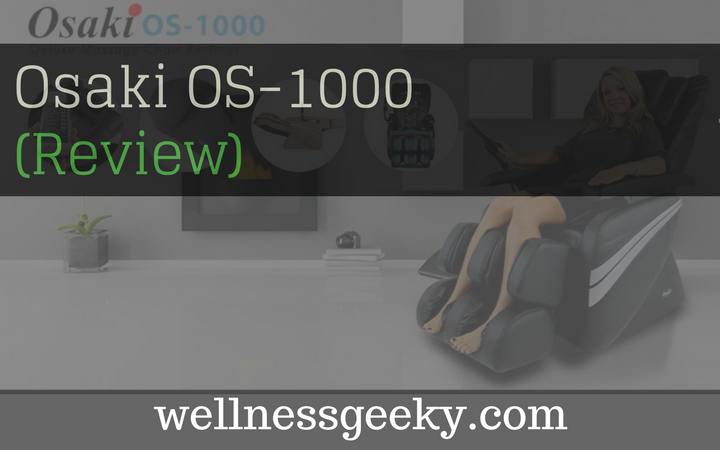 The OS-Pro Maxim also incorporates computer body scanning technology, which scans your body so that the massage accommodates the exact location of your acupressure points. At this point, the massage experience starts. So, there's nothing for you to do except breath deeply, enjoy the therapy, and de-stress. The chair has 2 heating pads. It is located in the lumbar area. The heat helps to improve the feel of the rolling massage. The vibration massage plate ensures a high-frequency massage on the back of the thigh area. You can turn heating pad function On and Off with the remote control. Led Lights are located around speaker area are LED lights with relaxing blue color. When lights in the room are off - blue lighting will turn on. Multiple Studies have proven that blue light may have relaxation & calming effect on a someone’s mood. 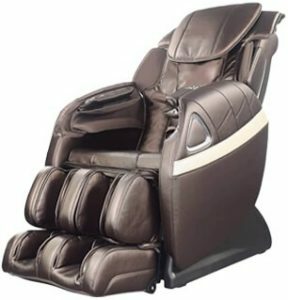 In addition to the more unique features that cause it to stand out, the OSPro Maxim has everything you'd expect to find in a quality massage chair these days, including a sharp design. It has zero gravity positioning, and you can add heat to the lumbar area. There are mechanical foot rollers for the soles of your feet, which again, you often don't find in a chair in this price range. Bluetooth technology compatibility and Bluetooth speakers are built right in, so you can pair your favorite device and listen to music, nature, or a podcast. 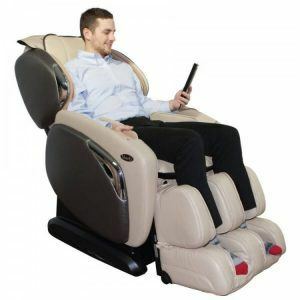 It comes equipped with 22 airbags, with Next Generation Air Massage Technology which covers more area, so you get excellent full body compression massage, even though some of the higher end chairs have twice as many air cells. Arms and hand airbag massagers got some curves to keep your hand in place better. 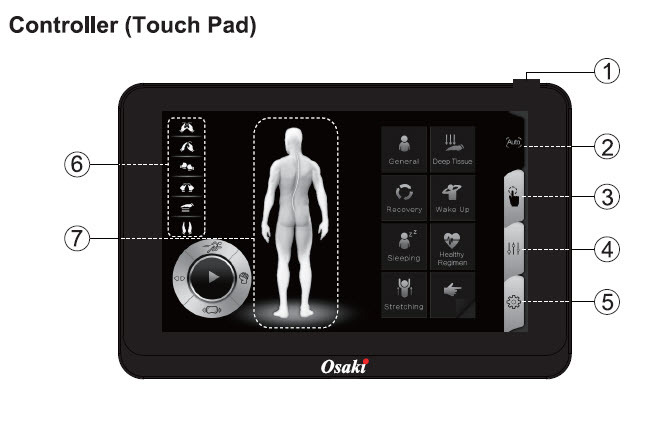 This feature you can find on some more expensive models such as Infinity Iyashi and Human Touch XT. Speaking of which, enter the Titan 3D. 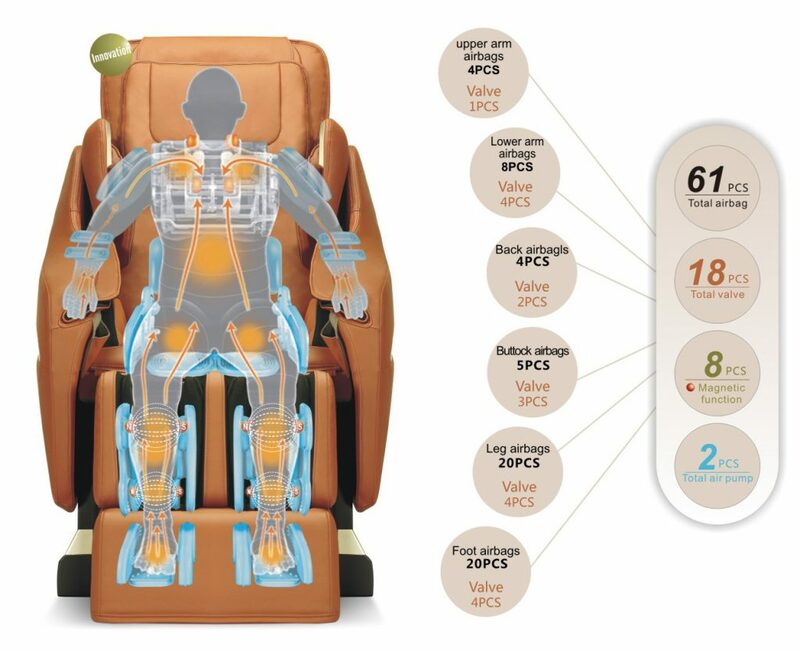 Boasting 61 airbags, the Titan Chair delivers a fantastic full body compression massage that is best in class. You can add them to the roller massage or have them work on their own, independently. This is an excellent chair for increasing circulation and blood flow. This chair features strong, vigorous massage that might not be suitable for some people. You will not find space saving technology in this chair. This chair is noisy. Note that motor noise in this chair louder compared to Pro Maxim model. 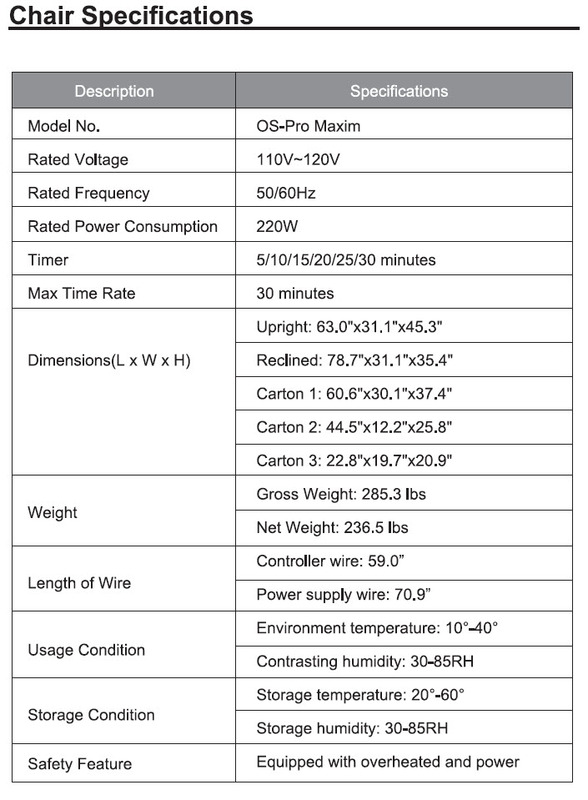 Titan Executive has only 6 preset programs (same as Osaki TP8500), whereas Pro-Maxim has 12 auto programs. If you are outfitting a smaller space or apartment and you want something close to the OS-Pro Maxim, check out the Osaki OS 4000LS. It's got many of the same therapeutic benefits, with the addition of an adjustable shoulder massage. The real advantage, however, is the space-saving capability. You can recline fully with only two inches of space between the chair and the wall, thanks to the track. If budget is a concern, you can save a little dough by going with the Ogawa Refresh. Utilizing something they call the smart curve, you get a great back massage from the Refresh via quad rollers. This isn't an s-track system, but you do get a deep, restorative massage that similarly conforms to your spine. 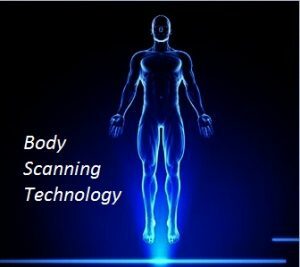 The Ogawa also features a touch screen remote, similar to the OS-Pro Maxim, and with a visual rendering of your body, it's easy to target specific areas and choose programs that suit your needs, stress, mood, or tight spots. Click Here for Latest Prices on Ogawa Chair! Other chairs also available such as from Johnson Wellness brand, but I decided not to include them in this review for a few reasons, such as reliavility & customer service. 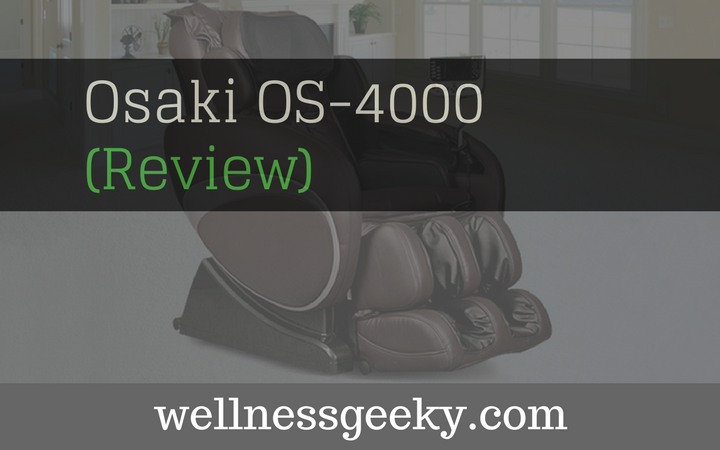 Overall, the Osaki Maxim is quite an impressive chair for the price tag. It's available in online distribution stores, online store locations sucs as Amazon. The limited warranty is good, covering parts and labor for a year, parts for a second, and structure for a third. Some dealers may offer price match guarantees. You can choose curbside delivery or white glove service delivery option (recommended). If you buy on Amazon, you do not have to pay sales taxes in some states, that may save you some money. Add to cart here to see if you need to pay sales taxes. Extended warranty also might be offered by some retailers on this model. Customer reviews are resoundingly positive, and very few users experience difficulty or dissatisfaction. 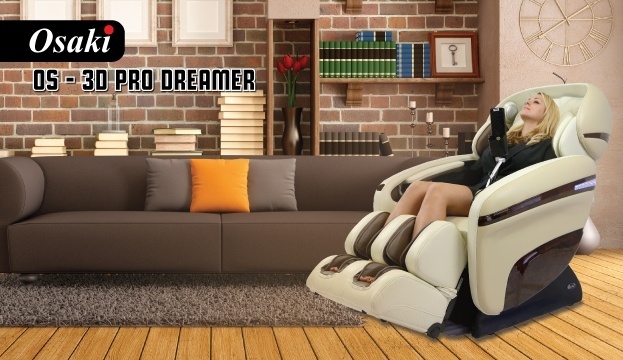 If you want to add a quality feature-rich massage chair to your living room or workspace even if you tall and heavy - the OS-Pro Maxim is a hard one to pass by. Click Here to Check Latest Prices!